Guardiola's Manchester City faced Klopp's Liverpool for the fourth time in 2018 on 7 October. 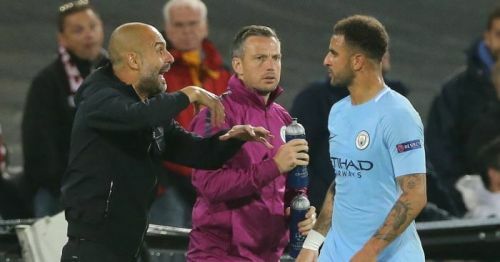 Although the match finished in a goalless stalemate, Guardiola came agonizingly close to his maiden victory in over a year against his rivals. In the dying minutes, Van Dijk's foul inside the box awarded a penalty to the citizens. City's record signing Riyad Mahrez stepped up to take the decisive penalty but his overhit kick went just over the crossbar. 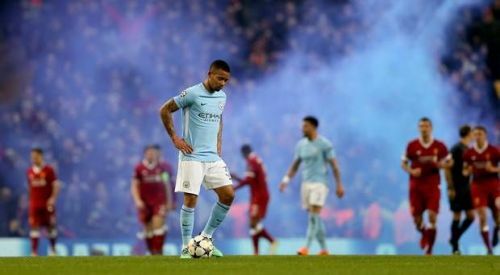 It was for the first time in the year that Manchester City came this close to winning against the five-time European Cup winners. There was an important tactical move by Guardiola which almost ended Liverpool's unbeaten run. Prior to this match, City had lost all of their previous three meetings against the Reds conceding a total of nine goals. On 14 January 2018, in a Premier League match, Liverpool stunned City by beating them 4-3 at Anfield. The seven-goal thriller called 'Match of the season' put an end to City's unbeaten run in the league. Later in the year, the two teams met again at the quarter-final stage of the UEFA Champions League. Liverpool came out on the top in both the legs. The Reds won the home game 3-0 on 4 April 2018 and again defeated City 2-1 at the City of Manchester Stadium a week later. In the build-up to Liverpool vs Manchester City match, it was Guardiola who was under most pressure. The technical genius had to plan something in order to counter the high pressing Liverpool team. Interestingly, he made a drastic change not in the attacking force but in his defensive setup. And Kyle Walker was the key person in his masterstroke. 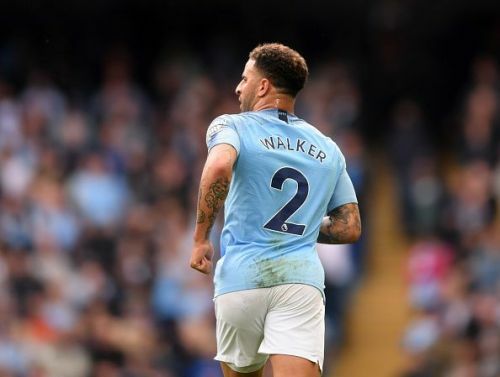 One of the fastest and most attack-minded fullbacks in the Premier League, Walker was seen in a transformed role in the last match. Unlike the past, the former Spurs man was seen as a more defensive full back. His galloping overlap and underlap runs were missing in the match. He was kept reserved to a defensive mindset. In the end, it turned out as the key for Manchester City's first clean sheet against Liverpool in over a year. 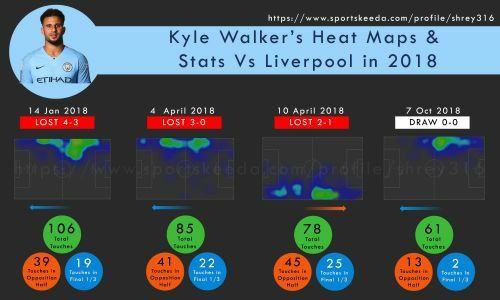 His heat map of the last match suggests that he had a more defensive average position as compared to the Sky Blues' previous encounters with the Merseyside Reds. He also had a lesser number of touches in the opposition half than his usual tally. This strategy was designed specially to stop the most influential opposition player, Mohammad Salah. Salah had a direct contribution in five out of nine goals that Liverpool scored against Manchester City in 2018. He scored three goals and assisted two times in his previous three meetings with the Club owned by Abu Dhabi group prior to the match on 7 October. Before the match, Walker was commissioned to cut short his forward runs in order to leave no space behind for Salah to exploit. The plan worked well as the reigning Golden Boot Winner was left frustrated with negligible influence on the game. On the downside of this was the lack of support for Mahrez. The main ideology of Pep's playing style is creating an overload on the opposition. The full-backs play a vital role in creating an overload on the flanks through their forward runs. Because of the lack of support from Walker, Mahrez was also not able to create goal scoring opportunities from open play. 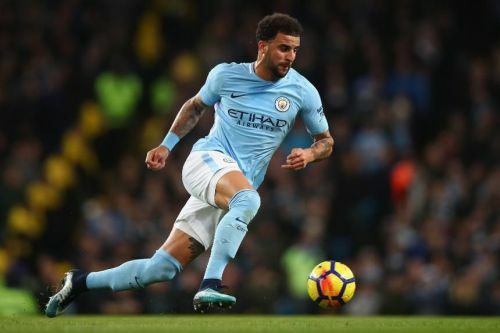 Kyle Walker has been repeatedly praising Guardiola since their association. He always pointed out the fact that he is at the same physical level as he was at Tottenham but in City, the gaffer works more on his mental attributes and reading of the game. And a disciplined performance against a red-hot Liverpool team was the sign of improvements in Walker's game. To recapitulate, the Liverpool vs Manchester City match was more of a tactical battle than the usual football match. Both teams, full of attacking prowess, were restricted. Although this match was not a treat for the eye of the viewers, it had a lot of lessons to learn from for the scholars of football.